Hello. I'm new to this forum as well as new to AP...not new with the concept as I've heard about it before, but now beginning to attempt to project. I have yet to have my first projection (though I gather some theorize that we are projecting to the astral plane when we sleep and dream, and I have come to lucidity in dreams before). Anyway, I try to project, but it seems that I just lie there sometimes for hours, either giving up due to boredom or getting tired of resisting the urge to move, or my awareness simply succumbs to sleep along with my body. Sometimes I get some vibrations, which would seem to be a good sign, but they're not very intense and I am still VERY aware of my physical body, so I'm not sure if they're the vibrations that one goes through on the way to projecting. Well first off. Why do you want to have a conscious projection? Next, go into it with a strong intent. But allow what is going to happen to happen. You need to get outside of and release your physical focus. Try this technique and some others found in this thread. They are excellent for achieving a strong "non physical" focus. Like I said though, allow things to manifest the way they wish. If you see something outside of what you are attempting to "imagine", stay with it. Lock onto it, but only passively. That seems to be the problem that most people have with projection. It's how to "passively" observe something while keeping a strong focus on it as well. It sounds like a "misnomer", but it's what you need to learn. Practice these exercises often and you will find that you just start projecting spontaneously. Also, get yourself a book that you can log what happens during your attempts. Start by writing what happens when you attempt to AP, sensations, etc. From there write down what you are seeing. No matter how trivial it may seem, it's always progress. One last thing. Begin using nightly affirmations stating your desire to go learn and experience. This all may sound like a lot, but everything you do to prepare for success shows your "higher self" that you are ready to see this. The exercises in "the Doorway" get you used to having and maintaining a good strong non physical" focus. Astral Projection is a shift in consciousness. But, you have to learn to allow the shift to occur. As for why...hadn't really thought that much about it beyond "the whole idea of exploring things outside of this physical reality seems really cool" until you asked. The aforementioned, certainly, but I also like the idea of being able to "visit" people or places, say for example, family out of state (though of course it would be a one way visit, since they wouldn't know I'm there, plus, while I've read of people doing this, I've also read that the realtime zone is a copy of the physical, not actually the physical, so not sure how feasible it is to actually see what's going on in the physical). When I read the linked doorway thread, I had to smile when you mentioned people saying they can't visualize, because, well, that's me. Ask me to close my eyes and visualize an apple, and I'll close my eyes and visualize...wait for it...my eyelids. I dream though, so obviously I can visualize, because I do. It's just the visualizing on demand that I've always had trouble with. Back to my apple example, I can think about it in words, and describe its color, shape, texture, etc., but not actually "see" it. Same with the other senses. If I take a bite of this imaginary apple, I can describe the taste, but not actually "visualize" for lack of a better word, the taste. The exercises in the doorway thread seem interesting. I wonder, if I practice the doorway exercise enough, if I will actually get beyond the point of thinking of adjectives that describe the door. If you cant visualize, then use inner motion. This is my method. I remember in the beginning of my practice, before I fall asleep, I would imagine skiing down a slope really fast and really feel the speed. Or running on the each really fast. Also, I have imagined being in an elevator going up. Whatever sounds fun to you, you can try. I find that it works best for me, when I wake up briefly during the night and then go back to sleep. If you catch those moments while you are falling back to sleep and initiate inner motion, that triggers very strong vibrations maybe 90% of the time. If you keep saying, I project while moving internally, that will have even bigger effect. Some people try for years and never succeeds, because they try techniques during the wrong time of the day. 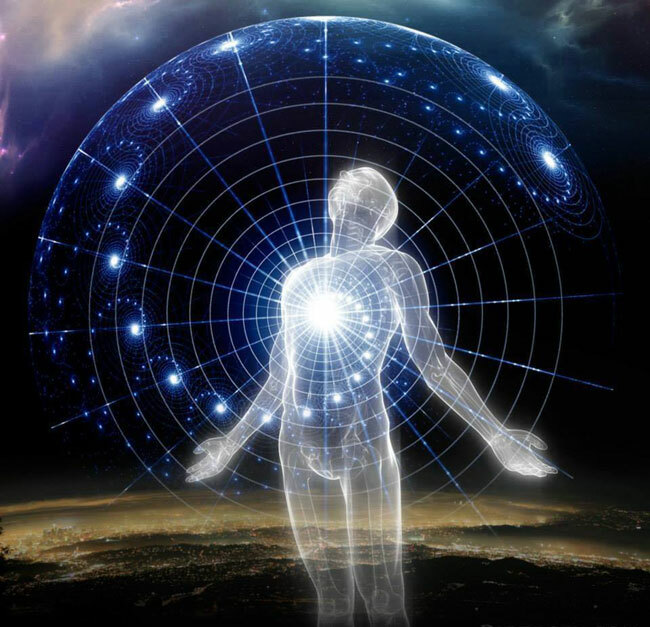 If you are too awake, most likely you will not be able to suppress your physical senses to the required degree and orient into the astral levels. If you dont wake up during the night, then set your alarm for about 2 AM. Or you can do affirmations every night for a while that you will wake up briefly during the night. That will set your mind for this specific task and after a while you will see that you will start waking up around the requested time. That is my favorite method, because it does not require hours and hours of meditation. However, until your mind gets into that mode, you may need to practice for a while and keep using affirmations before falling asleep. Again, the timing of the affirmations is crucial for success. Your last thought before orienting to the astral (dream state) will be for you to remain aware. That may also trigger awareness during a dream, and if that happens, you take conscious control from there, because you are already in the astral. That is another favorite method of mine. In regards to visiting places and relatives, keep in mind that you are not observing directly the physical. For some reason while we are physically alive, we cant do that. Now, I have read many accounts of NDE, where the person is physically dead. In these cases almost everyone describes with great details the doctors conversations and everything that happened around them in the physical. Then the doctors confirm. That makes me think that when we become completely disconnected from the physical bodies we have no restrictions. But now, understand that we experience duplicate higher frequency worlds of the physical, which may appear different in elements. You will be able even to talk to your relatives. It's not like they wont be able to see you. Every time I visit home, I am able to speak to everyone. The first time, I was so surprised that I asked, OMG can you see me? Well, later I realized that I was communicating with their astral selves. We all exist simultaneously in many levels, including countless duplicates of our own earth, encountering different scenarios. Even now, you may think that your entire self is here. But, on the contrary, you now exist in the astral level as well. If I AP, and I try to find you, I will be able to speak with your astral self. You may not remember it, or you may remember it as a dream. This is what happened to my sister several times. She recalled several encounters as dreams. But I visited her in the astral when I went home. You will discover may interesting things and you will come to your own conclusion. Just keep a very open mind, because things are a lot more complicated in the multiverse. Sometimes things go against our logic at all. Have fun and have no fears. I had asked that question so you could answer it to yourself! Ok, so visualizing on demand is difficult for you. How about this, what did you do a half hour ago? Close your eyes and retrace your steps or better yet, close your eyes and see your refrigerator. What color is it. Try to open it with your "etheric" hands. What else is there? That's all visualizing. Close your eyes and think about this one. Where is your "happy place"? See it, feel it. You say you like to engage your other senses, well then engage them. What's the smell there, how does it feel? Immerse yourself in that scene. If it disappears, like it normally does, bring it back. They can't hurt, lol. Those exercises use simple geometric shapes and colors. They also use past, present and future experiences. There is a lot there if you just concentrate long enough on one of them that "something" unintentional will start to happen. Lightbeam gave you some great tips there. Focusing on action scenarios is great way to AP. Use a sport or action that you are familiar with. Driving is a great one. Feel the action. You don't necessarily have to see it. You will see it eventually. One day the images will just appear and I'm sure that success will knock you right out of your focus, lol. It takes awhile to be able to "hold" one image. In the beginning I had a ton of bouncing, I think they call it "flitting" about. I couldn't hold on to just one thought. That's why I was told to relax and just observe. That counseling by my "guide"/deceased brother in-law was priceless. School taught you how to do things that you had never done before. You didn't know those things until you were taught them. Well, think of Astral Projection as a school of sorts. Everything in that school has a learning curve. Just wait until you finally do start projecting on a regular basis. You will see that my "school" analogy" is dead on. For now you will be going to a different school of sorts where you will be taught all kinds of things. Astral projection is cool at first. Well, actually your first visits there are normally quite scary, until you get past the "fear tests". But once you get past those fear scenarios you will be shown things you could never have imagined possible. Just remember thought = action in the "other realms/non physical realities (NPR), so you must learn to control those thoughts. The whole point of any exercise when related to AP, is to learn how to get and maintain a strong NPR focus. You don't have to see things when you visualize. You can get their feel. If you were told a story about a brilliant birthday party and birthday girl got farore than expected, you put yourself in her position and feel her elation. It's this feeling that you'll encounter I'm the non physical (NP). It's a way of communicating too and with it you can always tell the intent of any characters you encounter. Imagining the apple, you can add taste, the sound of a bite etc. It's visualisation in a nutshell.